4thofjuly, originally uploaded by jahansell. 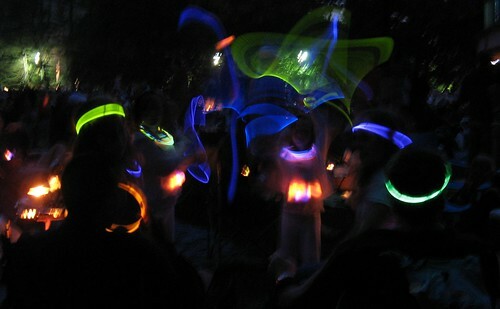 No these aren't fireflies - they're children playing with those colorful glowsticks at a 4th of July event - the real fireworks hadn't started yet but that didn't stop the kids from lighting up the night. Hi Jenny, I enjoy your blog and photographs. Thanks for sharing your view of Sharon with us all.